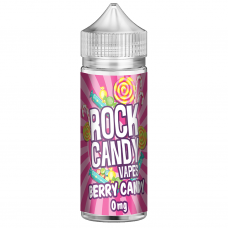 Mixed berry freshness with classic signature rock candy sweetness finished with blue cotton candy cl.. The cooling menthol and stripy blue rock candy sweetness with a blackberry fruit freshness100ML SHOR.. This lip licking favourite features bursting blueberries blended with ripe raspberries on a spun sug.. Ripe and juicy cherries and berries compliment our pink cotton candy and red rock candy sweetness100..